Plantain/Vaazhakkai is one of my favorite vegetable. 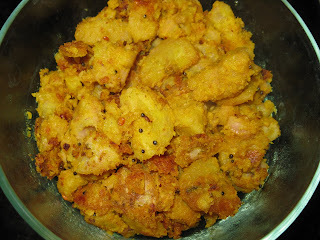 I usually make vaazhakka curry or vaazhakka podimas in a simple way. 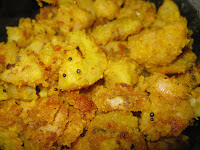 But this time, I wanted to try the spicy curry which my chitti used to make. Actually she will make this curry using Taro root/chepangezhangu. But I wanted to try the same method with vaazhakkai and it came out really well..
Really delicious and spicy and curry. My neighbor has passed on some plantains yesterday and today I read this post. What a coincidence! I can use both to deviate from my usual!